At the end of the day, each team must present a running demo and convince others how awesome their app is. It’s not just coding, it’s also good marketing and presentation skills. 🙂 Everyone competes for the big prize: eternal admiration and a super gift! 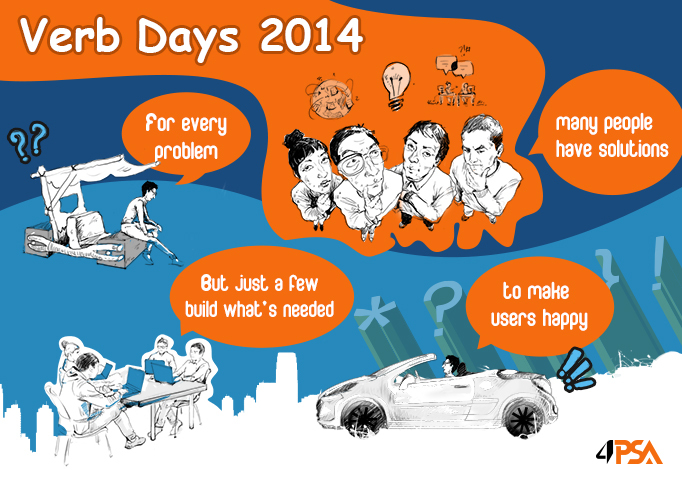 Well, that’s until the next edition of Verb Days, where even cooler apps will be born. To get a glimpse of what happened last year, check this out. Curios to follow us in our endeavors at Verb Days 3? We’ll be live blogging tomorrow here and on Facebook. Happy engineering, Clouders!